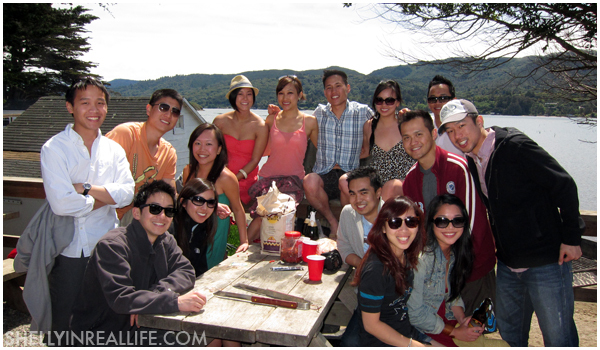 One of my favorite day trips in the Bay Area is easily Tomales Bay Oyster Company for good eats and fun in the sun. It's about 1.5 hours out from San Francisco, right by Point Reyes. The roads do get a bit windy, so if you get car sick easily, don't say I didn't warn ya! 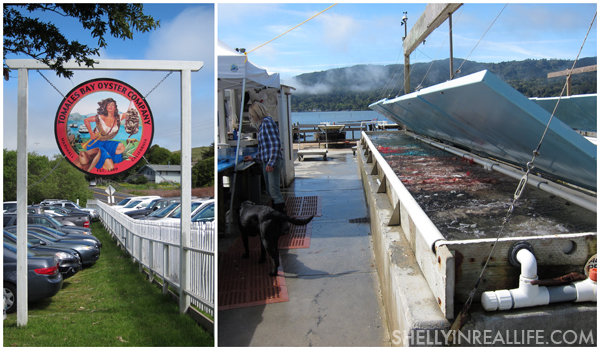 Tomales Bay with Fresh Oysters - A Bag of 50 Extra Small Oysters for only $35! 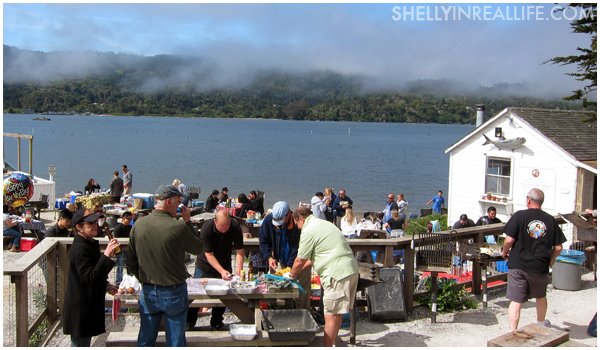 Tomales Bay Oyster Company sells their farmed oysters, mussels and clams to the general public to consume on their picnic grounds. Because of the weather of the Bay Area, these oysters are consistently good and there really isn't an "oyster season", you can enjoy these fresh delicious oysters year round! Amazing. Their picnic tables are each outfitted with their own BBQ grill, bucket for your shells, and trash cans for cleanup. The idea is that you bring everything you need for a picnic/BBQ, and they will sell you their shellfish for you to shuck. You can learn a little bit more about the specifics on their website. Another great thing is that you can BYOB, so, don't be shy, everyone does it! Just make sure you bring a cooler, they'll even sell you bags of ice if you forgot to pick some up. 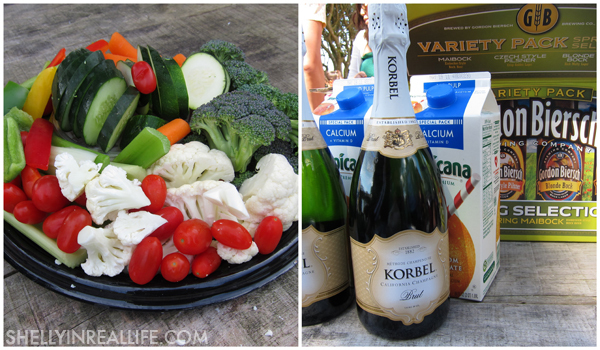 You know what want this - Breakfast of Champions: Veggies & Mimosas! This time around, I made some of my BBQ Asian Beef Short Ribs. You don't even have to have utensils to eat these, just hold onto the bone and grub like animals. It doesn't get any easier than that! 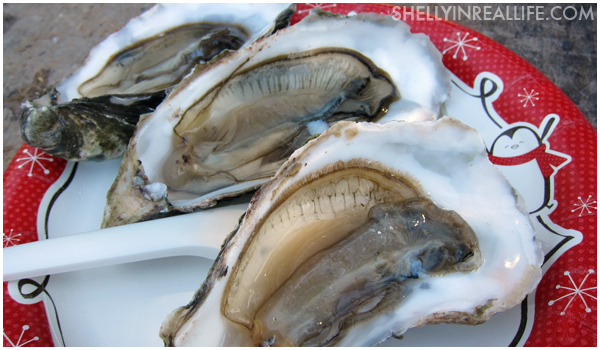 1) Drive your knife into the pointiest part of the oyster, parallel to the crack of the oyster, . 2) This will give you some wiggle room to dig inside the oyster. 3) Once you establish a crack, begin running your knife along the crack. 4) Run your knife halfway through the oyster. 5) Once you're halfway through, begin rotating your knife so that it widens the opening. 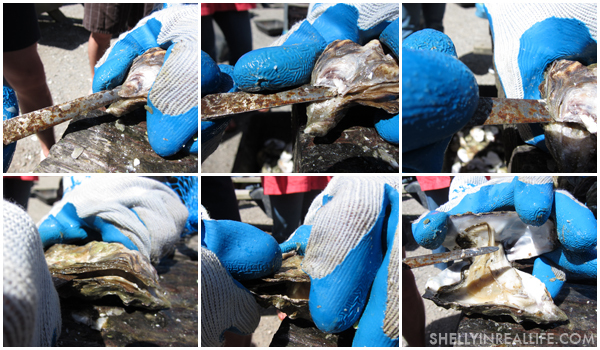 6) The oyster should be pretty open by now, just do the rest of the work by pulling the shells apart, and voila! I love slurping up these tiny oysters, we've bought medium ones in the past and I found it too gooey to enjoy. 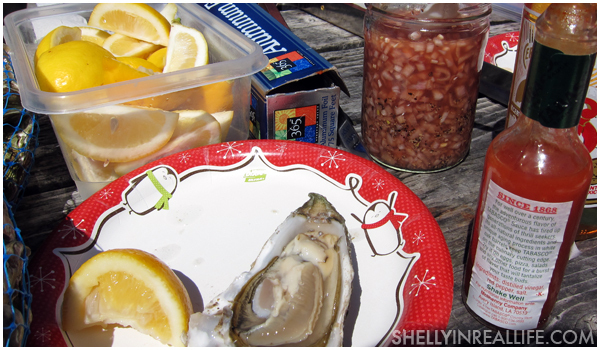 Be sure to bring lemon wedges, Tabasco and make some Shallot Vinegar to serve with your oysters. The Shallot Vinegar is really simple to make: I just chopped up these shallots, placed it in a jar and topped it with some red wine vinegar, some salt & pepper plus a small teaspoon of sugar (optional). 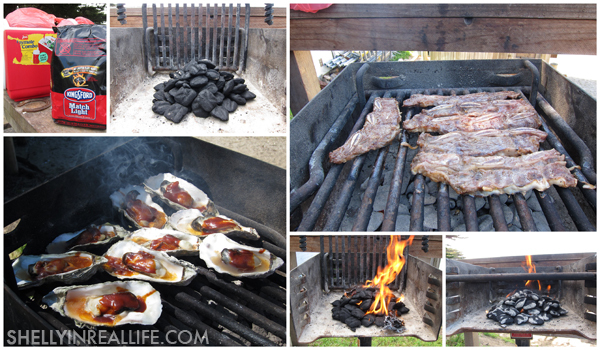 My first time at Tomales Bay, I first noticed other brilliant people with pots on their grills cooking clams. 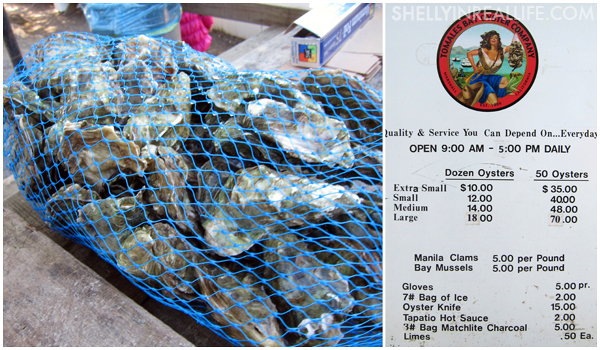 Yes, Tomales Bay Oyster Company also sells fresh clams and mussels! 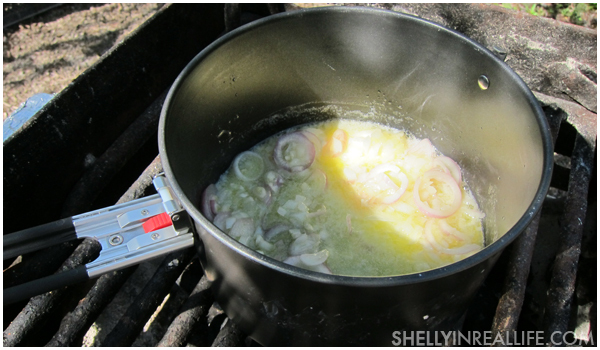 Ever since then, I was obsessed with the idea that the next time I headed back, that I, too, will bring a pot with butter, wine, shallots and parsley to drown my clams in for a pot of deliciousness. To my dismay, they weren't selling any that day. Derek, of Eating with Derek, would attest that this was probably my saddest moment of the day. However, we did end up putting shucked oysters in the sauce, and this dish was equally delicious. So for my foodies out there, this is definitely worth the extra mile! Usually my friends and I head out from SF by 10AM at the latest because we want to ensure that we grab a picnic table and BBQ pit. On a day with great sunny weather, the tables will be full by around noon, so don't be late! After an early day of gluttony, we would head down to Stinson Beach to enjoy the rest of the day in the sun. So for those of you who still haven't visited, (yes, I'm talking specifically to you, York), you must go before the summer's end!